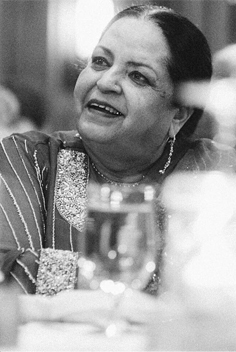 Nargis Zaheer passed away peacefully in her sleep on April 27, 2017 in Calgary, Canada surrounded by her closest family and friends from across the world. 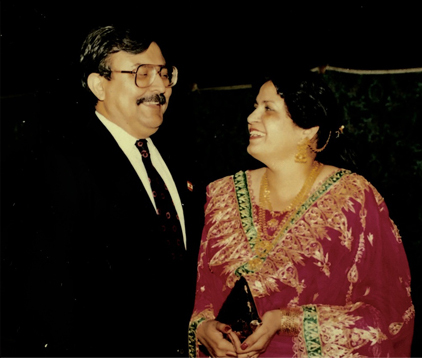 Nargis lived in Saudi Aramco Ras Tanura with her husband Syed Hasan Zaheer (ID # 160634) and two sons Ali Zaheer and Raza Zaheer from 1990 to 1997. Although cut tragically short, her life touched many in meaningful ways and she will be missed by all who had the chance to meet her and laugh with her. Her legacy will live on through her quiet actions and loving manner. She encompassed all the traits we strive in ourselves to attain – a caring mother, loving wife, dutiful daughter, loyal sibling, and joyous friend to all. 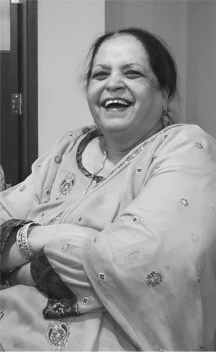 Her life started in Karachi, Pakistan on July 24, 1950 and grew to be a sister to 7 other siblings. Amidst the wonderful chaos of a large family, she was a focused student at Happy Home School and PECHS College where she enjoyed student politics and badminton. In September 1975, the luckiest man in the world was able to call himself her husband and together their global trek began. Life took her to Rijswijk (Netherlands), Doha (Qatar), Sharjah (United Arab Emirates), and 7 years in the Saudi Aramco compound in beautiful Ras Tanura (Saudi Arabia). 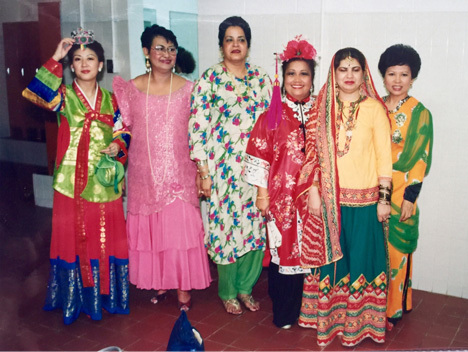 At Saudi Aramco Ras Tanura she was active in the various women groups including badminton, cooking, sewing, baking and helping at SAEA events amongst other activities. She was also involved in philanthropic activities throughout her life, as she cared for helping the needy and less fortunate amongst us. Ultimately, Canada was home for her for 30 years with stops in Fort McMurray, Medicine Hat, Edmonton, and Quebec City. 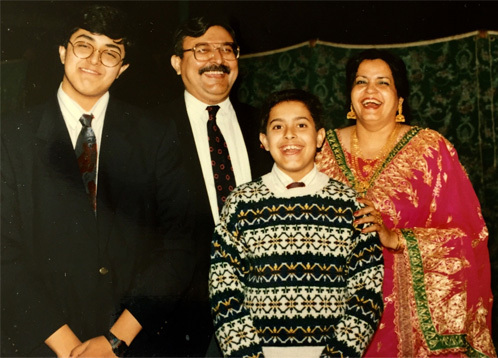 It was in Calgary that she set down roots for a most of these 40 years and became a pillar within the Pakistani community and an ambassador for her faith and culture. Most importantly, it was in Calgary that she raised her two boys with her loving husband. Nargis is survived by her husband Hasan Zaheer and sons Ali (Bathool & the upcoming twins) Zaheer & Raza (Kerrie) Zaheer. 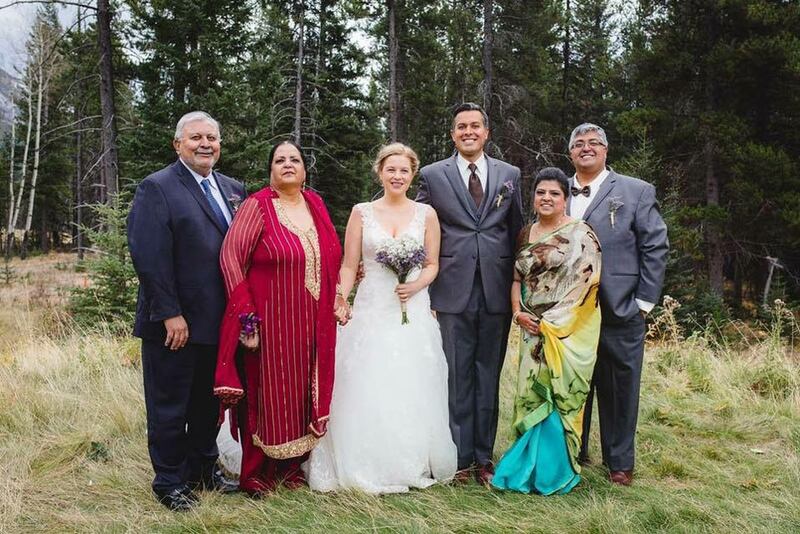 Ali and Bathool currently reside in Calgary, Canada where they are now raising their twins, Qamar & Jafar. Raza and Kerrie reside in Victoria, Canada on Vancouver Island. Her siblings from across the globe (United Kingdom, United States, Pakistan, Canada) include sisters Shahida Ilyas, Birgis Zaidi, Farzana Iqbal, Rizwana Ali, brothers Hadi Rizvi, Mehdi Rizvi, Mohsin Rizvi, and brother-in-laws Sayeed Hasan, Hasan Yousuf and all their families. The world has lost a unique flower, but we should all rejoice in love for having had the opportunity to be in the presence of such a beautiful fragrance, which will live on in our hearts, our minds, and our cherished memories forever.